"I’ve been very, very lucky that all of this has happened," grins Scott Pack as we discuss his many projects. "It’s been perfect timing, and it gives me the hours in the working week to manage it all!" To say Pack is a busy man would be an understatement. Everywhere he goes he seems to be on the cutting-edge of publishing, and his current projects with Unbound and the Abandoned Bookshop are no exception. And he's also found time to sign up for BookBrunch's new advisory board. We talk projects, translation and rediscovering your sense of wonder about books. Pack came into the industry when HMV bought Waterstones, and he was sent to the head office to compare sales practices between the two companies and spent the second half of the 90s in various buying roles in the head office. "They chose me because I was a books guy, and they thought they should probably send someone over who knew their books, or they’d just get completely ripped to shreds." He made a lot of changes to the bookselling practices, built up a buying team and was Head of Buying from 2000 to 2006. "Of course there were things that didn’t work, and that the booksellers didn’t like or couldn’t fit in to the way they worked, and there were lots of things that did work – it was sort of a learning process," he says. "Then when Gerry Johnson came in [as md], he made quite a few changes that I didn’t think would work, but I was expected to enforce them. So I basically told him I couldn’t do it. You know - not his fault, not my fault - I just didn’t think the things he was doing were going to work, and I couldn’t in good conscience try and do them." He moved on to The Friday Project, then in its infancy. "It was a brilliant idea: find digital content and turn it into print books! Nothing to do with me at all, founded by two other people." The company soon went in to administration, but was bought out by HarperCollins, who kept Pack on to take charge of it. He stayed there for seven years, moving on to help Gallic Books set up Aardvark Bureau in 2015. A few months into this new project, Pack was approached by crowd-funding publisher Unbound, who took him on as an Associate Editor. "The crowd-funding model is an interesting one. In a very short space of time agents, authors and other publishers have come to accept it as viable. It’s an exciting time to try new things, and the beauty of Unbound is that you can try projects and if you don’t find an audience for them, nobody has lost out. 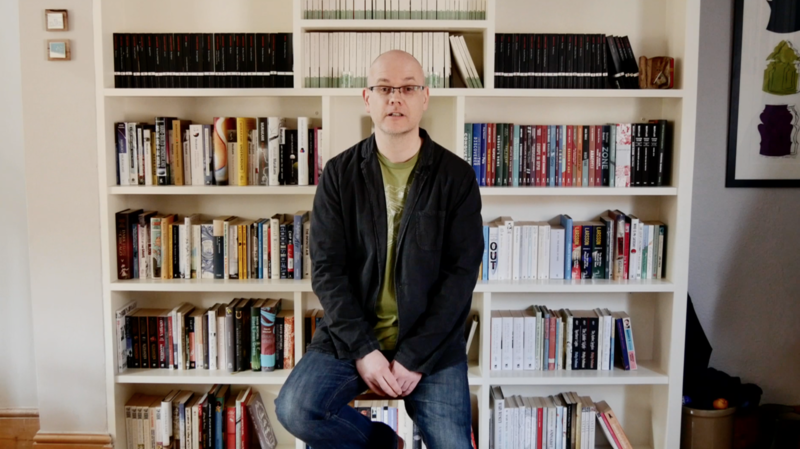 "Also, although our books are published as trade editions through Cornerstone with Penguin Random House and they’re fantastically supportive, the beauty about the crowd-funding is that you don’t have to plug into retail cycles. If a book is fully funded, you can publish it when you want! In my publishing career, I’ve published some amazing books that – for whatever reason – the bookshops didn’t get behind. With crowd-funding, you’re selling directly to the readers, and if a book gets funded – that’s it, it exists!" He refers to Unbound as his "main publishing job", but he still has other irons in the fire. His other main project at the moment is the Abandoned Bookshop, a new digital imprint specializing in Out of Print titles, which he’s set up with editor and proofreader Katherine Stephen and publisher Canelo. "Ever since my Waterstones days, I’ve been fascinated by the books that just aren’t available," Pack explains. "We’re trying to come up with books across a range of genres that are worthy of making available again but that traditional publishers probably wouldn’t invest in. There’s a big chunk of books people just aren’t taking the risk on or that are genuinely forgotten, and yet they are definitely worth discovering. Our aim is to try and bring as many of these back into readership as possible, via eBooks." They’re also looking to work with translators, not translating new books, which is expensive, but by offering translators full author royalties on out-of-copyright books that haven’t been translated in English before. The response so far from translators has been enthusiastic. "I expected a bit of reticence," Pack admits, "but it’s a fresh way of approaching it and they’re all really excited about it." The Abandoned Bookshop is set to publish its first book in July and a couple of books a month after that. "Of course, some of these books are out of copyright, so that’s easy, but the really fun bit kicks in when we start doing the detective work to find out who still has the rights!" Pack says. "In almost every case, when I’ve contacted people who own the rights, they’re just delighted that someone is interested in the book." One thing all of these projects have in common is that they push the boundaries of bookselling or publishing. "Most people, if they’re really honest, will accept that the old publishing model is broken," says Pack. "But it’s so big and such a gargantuan thing that it will sort of carry on anyway. In this day and age, it doesn’t really make sense for publishers to guess how many copies of a book they’re going to sell, or pay in advance based on that guess, and then effectively cross their fingers that they’ve made the right guess. "On top of that, you’ve got this self-perpetuating thing that if you spend quarter of a million pounds on a book, you have got to make it work – even if it means that fifteen books you pay ten grand for don’t work, and even though if one of those fifteen books sold pretty well, you could make more profit. It’s bizarre! You’ve got this weird model that effectively focuses on the big, big titles, and just let’s smaller titles go. "It’s also a model that’s tied into lots of older ways of doing things. Traditional publishing is tied into broadsheet review coverage, which does not have the impact it used to and focuses really only on hardback fiction and non-fiction. Whereas readers are buying paperbacks and eBooks, not hardbacks! "That being said, in the last couple of years, a new wave of publicists and publishers have realized that social media is really important and spend a lot of time courting Tweeters and bloggers, which is great. Publishing has found a way to tap into word of mouth a bit better. Most of the publishers are making sure people are talking about the books that really matter. The ability to get people talking about a book is growing – whether positively or negatively doesn’t really matter, the debate can make for really interesting social media. "Mostly publishing’s just carrying on as normal, though!" The man clearly knows his publishing – and, clearly, knows his books too. "I’ve always read from an early age. I was the kid that if I got sent to my room I was delighted because I could read. It’s always what I’ve done with my spare time," he grins. He goes on to talk about discoverability and the difficulty of finding new reading material when he was growing up. "There was no internet when I was young so it wasn’t like you could Google this stuff. You spoke to people and asked friends who’d read similar books – and I think if you grew up in those times, the search for books was a bit more of a big deal. Trying to find something to read, you would actually properly browse a bookshop. I remember going into my local bookshop and going to the fiction section and starting at A and going all the way to Z and picking out books that looked interesting. I’m sure some people still do that, but you don’t have to do it in that way anymore. "When you work in the industry you’re in quite a privileged position," he muses, "you know you get sent a lot of books, and it sort of desensitizes you to the way it all works. That sense of discovery changes when you work in the industry, so it’s always good to try and take yourself out of that a bit and try and be a reader again." At the moment his reading list consists mostly of out-of-print books for Abandoned Bookshop. Finally, the talk turns to his new position on BookBrunch's advisory board. "Usually I’m only asked to do things if people want a really frank and honest bit of feedback, because I don’t hold back," he says jovially. 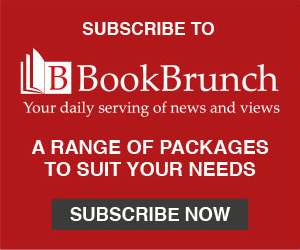 "BookBrunch is a fascinating setup, and I’m intrigued that it’s managed to stay around because it’s a really difficult area to succeed in. I’ve got loads of ideas! I’m also assuming these meetings will involve some sort of biscuit." On this last, at least, I think he is joking.